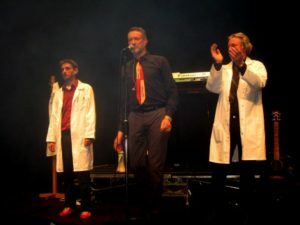 Following the success of their joint gig at Manchester Academy earlier this year, two of Synth Britannia’s best loved combos HEAVEN 17 and BLANCMANGE have been doing the rounds on ‘The Tour Of Synthetic Delights’. In 1984, former HEAVEN 17 member Ian Craig Marsh declared to Smash Hits that BLANCMANGE were his favourite band while a link was first forged back in 1981 when Martyn Ware produced the demos that eventually got BLANCMANGE signed to London Records. BLANCMANGE arrived on stage in their current live trio incarnation all clothed in lab coats with front man Neil Arthur staring at the crowd like an eccentric but cool university professor. Opening with ‘Game Above My Head’, he waved a telescopic inspection mirror like a golf club as if to substantiate the impression! The set comprised predominately of crowd pleasers such as ‘Blind Vision’ and ‘Don’t Tell Me’ while ‘Living On The Ceiling’ appeared midway through and was effectively turned into a terrace chant as the audience sang the main theme. But best of all was an emotive ‘Waves’, now reworked and sounding even more like early OMD than ever before. A nod to BLANCMANGE’s most recent album ‘Blanc Burn’ came with the groovy ‘WDYF’ while a charismatic Ian Curtis meets David Byrne intensity made its presence felt on blistering ‘Happy Families Too…’ versions of ‘I Can’t Explain’ and ‘Feel Me’. In all, it was a synthetic delight from the lean and mean Mr Arthur to warm up the evening’s proceedings. 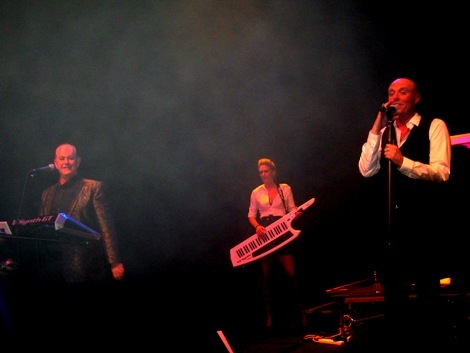 HEAVEN 17 began their part of the bargain with ‘Circus Of Death’, an old HUMAN LEAGUE song from Martyn Ware’s days in the band. Always known for varying their setlists regularly with assorted League numbers and cover versions, one of the attractions of this particular H17 jaunt was the promise of new material, the first since 2005’s ‘Before After’. 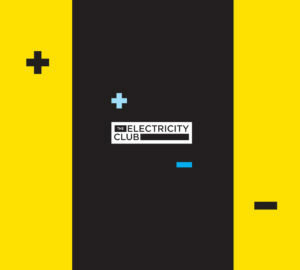 On a likely direction, Martyn Ware told TEC in May 2013: “it’s still in the birthing stage but I think we want to make it very electronic and stripped down… we always start off with this intention but it always ends up epic! !” In Spring 2014, Glenn Gregory added: “At the moment, it’s fairly loose… I’m doing that deliberately, the drum tracks are very basic and I’d say as guide, the tracks are more like the electronic side of ‘Penthouse & Pavement’ than ‘The Luxury Gap’ or ‘How Men Are’” – the first of the new tunes aired was ‘Illumination’. An electro funk groove in the vein of ‘Penthouse And Pavement’ developed into a FULL FORCE / LISA LISA / CULT JAM romp. 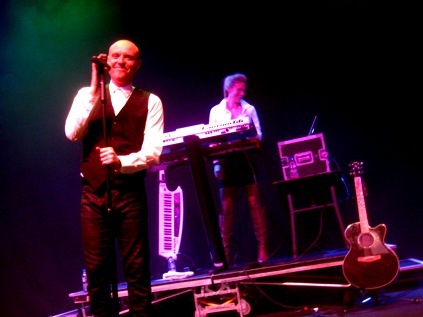 And with a fabulous Stylophone styled solo to boot, it was as if THE HUMAN LEAGUE’s ‘Crash’ album had gone right! 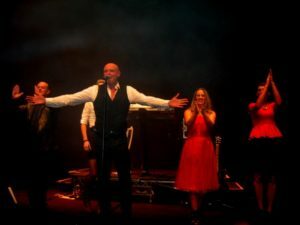 The second new song ‘Pray’ began like early HUMAN LEAGUE, its metronomic avant first half transforming with slap bass runs and rhythm guitar via ’Young Americans’ era Bowie into that synth soul hybrid which HEAVEN 17 have been known and loved for. Of course, the hits were present too like the still sadly relevant ‘(We Don’t Need This) Fascist Groove Thang’, ‘Let Me Go’ and ‘Come Live With Me’ plus a pleasant surprise in the newly revived 1984 ode to nuclear apocalypse ‘Sunset Now’. And the glamourous soul sistas Billie Godfrey and Rachel Mosleh gave their all to a wonderfully extended and exuberant ‘Temptation’… yes DEPECHE MODE, this is how to breathe new life into your best known song and it doesn’t involve tedious drum solos! To finish, there was a cover of Bowie’s ‘Boys Keep Swinging’ with Ware adding some mad Eno-esque squelches via his Roland V-Synth. Meanwhile during ‘Being Boiled’, live keyboardist Berenice Scott maintained her position as “possibly the sexiest lady ever to have got behind a synthesizer” when she left her stand to almost come to the front of the stage with her Roland AX keytar and demonstrate the beauty of the synthesizer. The Bedford leg of ‘The Tour Of Synthetic Delights’ was a fantastically entertaining evening that proved heritage events with key acts from the Synth Britannia era can be both nostalgic and credible if the line-up is right. Promoters take note… it doesn’t have to be a cheese fest like ‘Here & Now’!